Kansas City’s not just about barbecue. There are restaurants, bars and coffee shops that would be mobbed were they in LA or New York, but the owners are happy in the Heartland. If you’re into coffee, then share in KC’s celebration of its independent roasters: The Roasterie (www.theroasterie.com) and Broadway Café and Roasting (www.broadwaycafeandroastery.com). Visit at the right hour, and you can catch one of Kansas City’s chefs fuelling up for another successful day. 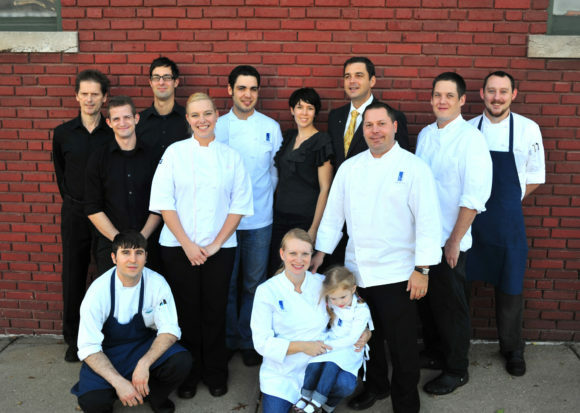 Three-time Beard nominee Colby Garrelts and his wife, Megan, are an unstoppable pair: as parents, chefs (Colby handles the savory side; Megan, the sweet), and co-owners of Bluestem (www.bluestemkc.com, 900 Westport Road). They’re looking into opening a new restaurant, and are working on a cookbook – and their crew gets along so well that they hang out together when they have time off. 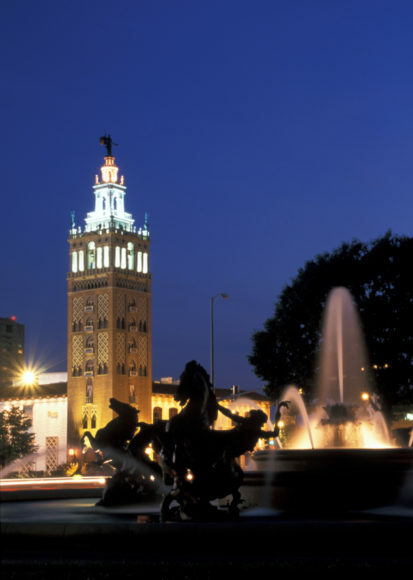 Where would they have you go in KC? In the great tradition of “eat dessert first,” let’s give Megan Garrelts the first word. “We go to Room 39 a lot,” she says. “It’s homey. It’s small . . . They have a great burger, great specials and soups . . . Ted [Ted Habinger, chef-restaurateur] is a great friend of ours.” Habinger’s worked for some of the best, including Danny Meyer. Room 39 is the ultimate in egalitarian treatment. Whether you spend hours drinking excellent cappuccinos and reading the newspaper, or order a five-course meal and a $200 bottle of wine, you’ll be shown honest grace and courtesy. Habinger wouldn’t have it any other way. R Bar (www.rbarkc.com, 1617 Genessee Street) is another of her favorites. There’s “a great cocktail selection.” Just as important, “The ambience is just really cool. It has that old Kansas City feel. It takes you back in time.” Check the calendar for live music. R Bar’s drinks pair well with jazz. Laughing, Colby Garrelts says, “The boys and I eat out almost every single day. We go hit the holes in the wall with the good lunches. These are the places that are the heart and soul of what we eat on a normal basis. We eat tons of pho.” For that, they go to The Vietnam Café. (522 Campbell Street) and Kim Long Asian Market and Restaurant (511 Cherry Street) “It’s where the Vietnamese people go to eat, both of these places.” Look for “noodles, vermicelli, tripe – which isn’t really tripe – tendon, shank . . .” Garrelts’ one-word review: “Fantastic.